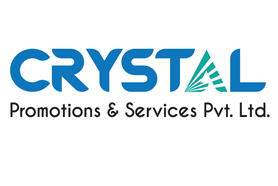 Crystal Promotions was established on 3rd September 2012 with the vision to become a connoisseur in Brand building. Headquartered in Kochi, Kerala, the agency inculcates the principles of transparency and professionalism to offer their expertise in branding, advertising and public relations to promote companies and brands. With extensive industry networks and knowledge, our agency is able to provide solid solutions for all our client's requests. At Crystal Promotions, we emphasize on developing Public Relations strategies customized to suit individual Company requirements. On assessing the various market trends and client needs, a comprehensive Public Relations plan is devised by our agency for effective communication. At Crystal Promotions, we focus on client satisfaction by executing efficient communication practices. Ranging from devising efficient campaigns to enhancing the image of a brand, Crystal Promotions offer wholesome solutions for your communication needs. Crystal Promotions was fosteredby Mr. Jose Jacob, the current Managing Director of the agency. With over two decades of experience from working with prominent media houses, including The Hindu and The Indian Express, Mr. Jacob's expertise and influence has enriched the initiatives at the agency. Under his leadership and guidance, the agency has developed into a forerunner in the PR Industry in Kerala. "By focusing on client needs and encouraging long term relations, Crystal has fulfilled its mission to provide well-rounded and proficient PR services. If you have a need, we have a solution."